Our consortium is comprised of a peer team of solution experts with extensive experience in ERP, financial, manufacturing, distribution and IT. TeccWeb’s model brings Epicor certified consultants and business experts into every implementation and service project. We offer support services for customers who run Epicor ERP. If you are looking to take advantage of Epicor's ability to be customized and integrated within your existing business model, we can help. Business consulting services to aid you with the successful implementation and leveraging of Epicor ERP E9 and E10. Working with your internal team, our Epicor consultants and business experts work with you in building the strategies to get your business to the next level of efficiency. Consulting services for Vista and Vantage as well as E9 and E10, Implementations along with customized reports, technical support and training. by providing expertise in the areas of technology and business. The experts you need are only a call or click away. Our Epicor Certified Senior Staff are also seasoned experts with real business background. Our team comes from several different industries and have lived through the daily challenges that are unique to each. We want to become Your Trusted Advisor. We will help you by hearing your goals, sharing your vision, and turning your ERP system into a tool for growth and stability. At TeccWeb our business model has proven successful in acquiring Epicor Business Consultants with a wide range of expertise who want to achieve success for their clients while achieving their own personal growth and success within the TeccWeb team. At TeccWeb, our team works with you to build your profit. Our team of consultants will work with you to develop implementation and service plans so that you achieve a successful Go-Live and keep your competitive edge. 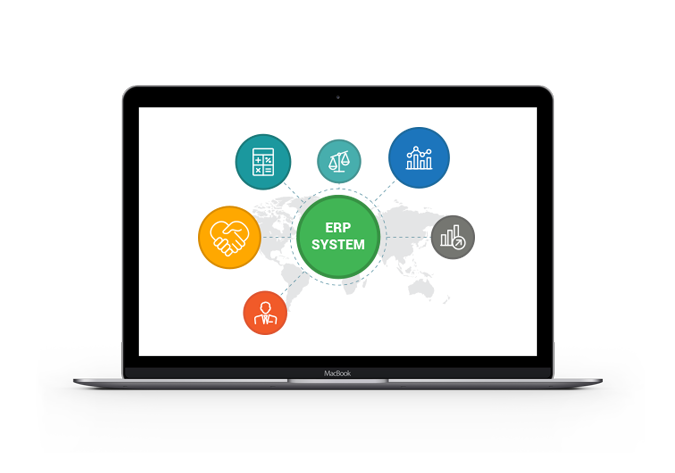 We will work hand and hand with you and your team to ensure the successful implementation of your Epicor ERP system and beyond.